Please read these Terms carefully before you start to use the Site, upload material or content, and/or before ordering any Materials from Us via the Site. You should understand that by using the Site, uploading any information or content and/or ordering any Materials you signify your acceptance of the Terms and that you agree to be bound by them. If you do not agree to these Terms, please refrain from using or visiting the Site. If you register on the Site, this allows you to personalise the service we provide to you in relation to the Materials. Registration is required in order to access Free / Paid Materials. Whilst we endeavor to ensure that the Site is normally available 24 hours a day, access to the site is provided on a temporary basis, and We reserve the right to withdraw or amend the service We provide on the Site without notice. We will not be liable if for any technical reasons the Site is unavailable at any time or for any period. We aim to update our site regularly, and may from time to time change the Materials as well as the type of subscription/registration needed to access any of the Materials. If the need arises, We may suspend access to the Site, or close it indefinitely. You are responsible for making all arrangements necessary for you to have access to the Site and the Materials, including the arrangement and acquisition of software, hardware, and any necessary Internet connection and telecommunications equipment. You are also responsible for ensuring that all persons who access the Site through your Internet connection are aware of these Terms and that they comply with them and you also understand that you and not Us are responsible for all electronic communications and content sent from your computer to Us. You must not misuse the Site by knowingly introducing viruses, Trojans, worms, logic bombs, or other material which is malicious or technologically harmful. You must not attempt to gain unauthorized access to the Site or any part of it, the server on which the Site is stored, or any server, computer, or database connected to the Site. You must not attack the Site via a denial-of-service attack or a distributed denial-of-service-attack. By breaching this provision, you would commit a criminal offence. We will report any such breach to the relevant law enforcement authorities and We will co-operate with those authorities by disclosing your identity to them. In the event of such a breach, your right to use the Site will cease immediately. We will not be liable for any loss or damage caused by a distributed denial-of-service attack, viruses, or other technologically harmful material that may infect your computer equipment, computer programs, data, or other proprietary material due to your use of the Site or due to your downloading of any material posted on it, or any website linked to it. The Site must not be framed on any other site. We reserve the right to withdraw linking permission without notice. The Site and the Materials are provided on an “as is” basis. Subject to the below, ITTA excludes all liability whether in contract, tort (including liability for negligence), or otherwise for the suitability, accuracy, or fitness for any purpose of the Site and any Material and limits its liability for any other liability under these terms or any related agreement to the fees payable by you for the element of the Site or the Material found to be in breach of these terms. Subject to the below We exclude all liability for loss of business revenue or profits, anticipated savings, or wasted expenditure, corruption, or destruction of data or for any indirect or consequential loss whatever. The Materials may be out of date at any given time, and while We may from time to time update the Materials We are under no obligation to do so. The Google translate facility on the Site generates a statistical machine based translation that is not retained in our system. We make no representations or warranties whatsoever as to the accuracy, completeness, or suitability for any purpose of the translation. Informa shall not be liable for any losses, actions, claims, proceedings, demands, costs, expenses, damages, and other liabilities whatsoever or howsoever caused arising directly or indirectly in connection with, in relation to or arising out of the use of the translation. Your use of this feature is subject to these Terms. You agree to indemnify ITTA against any costs, claims, damages, or expenses arising from any use by you (including by Authorized Users) of the Materials under these Terms which are brought or threatened against Informa by another person. Access to certain areas of the Site will be restricted to registered users only. You can apply to become a registered user with us any time. We reserve the right to disable any user identification code or password, whether chosen by you or allocated by Us at any time, if in our opinion you have failed to comply with any of the provisions of these terms. In order to operate your account you will be issued with a password. You are responsible for the security and proper use of your passwords and your account, including all charges incurred through them. You must inform ITTA immediately if you have any reason to believe that any of your passwords have become known to someone not authorized to use them. If We reasonably believe that there is likely to be a breach of security or misuse of the service or your account, We may change your passwords immediately and will notify you accordingly. We are the owner or the licensee of all copyright, trademarks, design rights, database rights, confidential information, or any other intellectual property rights (together the "Intellectual Property") in the Site, the content and the Materials. The Materials are protected by copyright. All such rights are reserved. Your right to access and use the Site and the Materials is strictly limited to that set out below and, where applicable, in any accompanying license agreement between you and Us. To access Free Materials included in a periodic offer using an access token, you will need to register, log in and activate the access token to view the content. 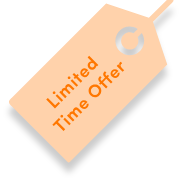 Only one access token per offer is allowed per person and reactivation of the token once used is not permitted unless the token specifically allows reactivation after a defined period chosen by Us. We grant you a limited and revocable license to access and make personal use (including permission to print off one copy, and to download extracts) of any page containing Free Materials for your personal reference and you may draw the attention of others within your organization to the Free Materials. You must not (i) modify the paper or digital copies of any Free Materials you have printed off or downloaded in any way; (ii) use any illustrations, photographs, video or audio sequences, or any graphics separately from any accompanying text; and (iii) systematically download and store complete issues or volumes of any one journal. If you print off, copy, or download any part of the Site or the Free Materials in breach of these Terms, your right to use the Site will cease immediately and you must, at our option, return or destroy any copies of the Free Materials you have made. This license does not include any derivative use of the Site or the Materials, any collection and use of any product listings, descriptions, or prices; any downloading or copying of account information for the benefit of another merchant; or any use of data-mining, robots, or similar data-gathering and extraction tools. In addition, you may not use meta tags or any other "hidden text" utilizing our name or the name of any of our group companies without our express written consent. You must not use any part of the Free Materials for commercial purposes without first obtaining a license in writing to do so from us. Our status (and that of any identified contributors) as the authors of Free Materials on our site must always be acknowledged. In addition to the terms set out above, your use of any Paid Materials is subject to an additional license, the nature and content of which will vary according to the type of Paid Materials purchased and whether you are purchasing as an individual or on behalf of an organization. When purchasing an eBook as an individual, We will, on acceptance of your order, grant you the non-exclusive, non-transferable right to access the eBook on your PC or hand-held digital device and retrieve and temporarily cache it in your browser or proxy cache of the licensee. You may not use the eBook in whole or in part for the purposes of inter-library loan, for any external commercial re-use, or for the creation of course packs or similar collections of data. This right may be terminated by Us if you breach any of these terms. Your access to and use of the Materials may be subject to additional terms and conditions as agreed by you and Us from time to time, except that any such obligations will not apply to any dispute between you and Us arising, or arising out of events occurring before the date of such additions. Commercial use of any article published on our website is prohibited. If you wish to complain/notify about any contribution posted to the Public Areas, please contact us on email. We will then review the contribution and decide whether it complies with our Content Standards. We will deal with any contribution which, in our opinion, violates our Content Standards as described above. We will inform you of the outcome of our review within a reasonable time of receiving your complaint. in the case of Digital Content: giving you confirmation by an email based on the payment status. Digital Content will be available for the period of time specified when you place your order. Prices are liable to change from time to time, but changes will not affect orders in respect of which We are already sent you. Payment for all Paid Materials must be by Wire Transaction or by Cheque. We have the right to revise and amend these Terms or any clause contained within then from time to time to reflect changes in market conditions affecting our business, changes in technology, changes in payment methods, changes in relevant laws and regulatory requirements, and changes in our system's capabilities except that such revisions or amendments do not apply to any dispute between you and Us arising, or arising out of events occurring, before the date of such revision or amendment. You agree that the court of Chandigarh shall have exclusive jurisdiction to settle any disputes arising out of or in connection with these terms or their formation. For these purposes each party irrevocably submits to the jurisdiction of the court of Chandigarh.